I’ve been so lucky to be able to play with some of the great jazz veterans living in the midwest. Earma Thompson , Jodie Christian and Mel Rhyne have really been inspirational to me. 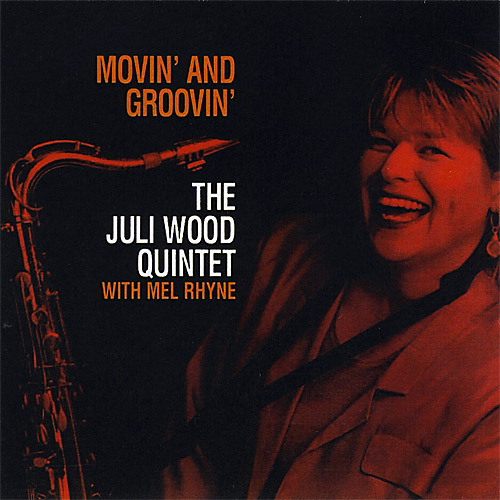 I had so many great gigs with this quintet featured on Movin’ and Groovin’! One of our best was at the 1997 Chicago Jazz Fest. We tore it up! That was the catalyst to make this recording. Mel played great and brought in some of his own tunes. I really dig the way he arranged that pretty Horace Silver tune “Enchantment” It’s got a totally different groove than the original. Check it out!